Tall Ship Sagres in Boston. 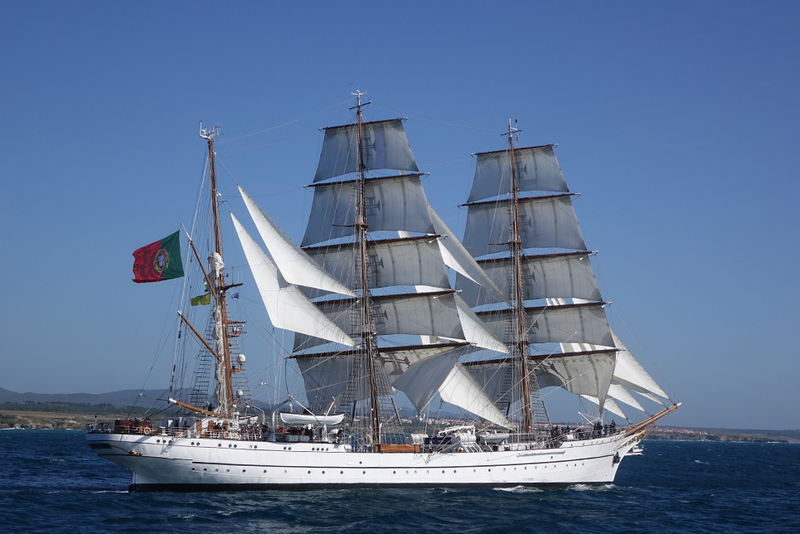 The present training ship Sagres was built in 1937 at the Blohm & Voss shipyards, in Hamburg. Her original name was Albert Leo Schlageter and she was the third of a series of four ships procured at the time by the German Navy (Kriegsmarine). The other three ships were the Gorch Fock (1933) – Tovarish between 1952 and 2003 – the Horst Wessel (1936) – now Eagle, belonging to the United States Coast Guard – and another ship, named Herbert Norkus (1939), that was never finished due to the war outbreak. Some of the rigging and spars of this last ship, including topmasts and yards, were later on installed on board the present sail training vessel of the German Navy, the Gorch Fock (1958), built twenty years later of the previous sister-ships, but following the same design. Besides these ships, Blohm & Voss shipyards built another sail training vessel of this class – the Mircea (1938) – for the Romanian Navy. After the end of World War II, the Horst Wessel and the Albert Leo Schlageter were kept by the United States of America (USA) as war prizes. However, despite the efforts undertaken by the US Commanding Officer at the Bremerhaven Naval Base, an USA institution willing to keep Albert Leo Schlageter could not be found. Thus, three years after, the ship was given to the Brazilian Navy as pay-off for the damages caused by the German Navy submarines to their fleet during the war. 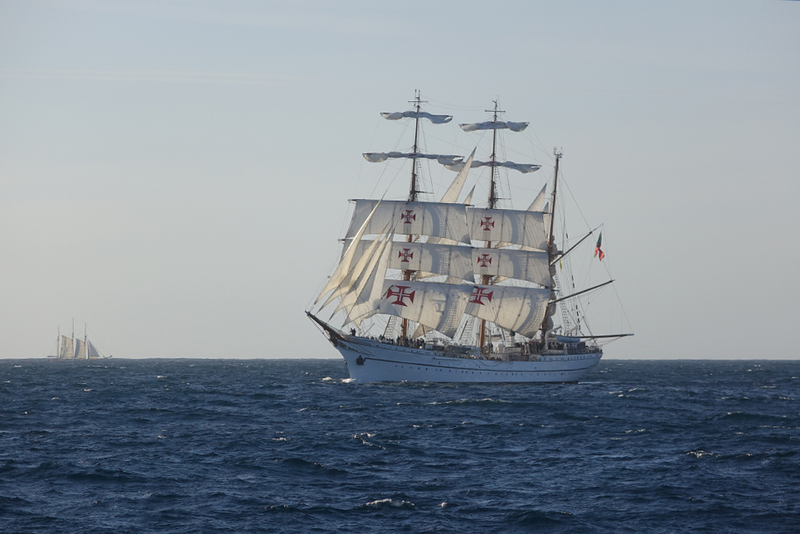 In 1961 Portugal acquired the ship to replace the old training ship Sagres, a former German sailing vessel as well. In fact, the previous Sagres was launched in Bremerhaven (1896), with the name Rickmer Rickmers. In 1916, when Germany declared war to Portugal, this ship was seized in Azores. The ship was named Flores and was made available to, and used by, the British, for transportation purposes. 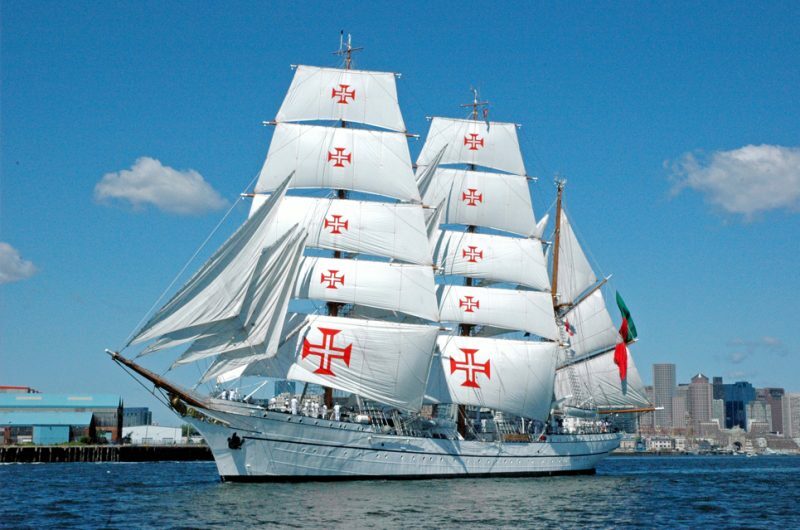 In 1924, her use as a merchant ship ceased and she was incorporated in the Portuguese Navy as a training vessel, with the name Sagres. 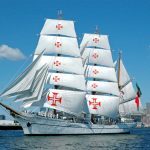 This explains why sometimes, particularly abroad, the present training ship Sagres is called Sagres II, although that does not reflect the truth. In reality there was another previous ship of the Portuguese Navy with the name Sagres. She was a wooden full-rigged ship built in England at the shipyards of Messrs. Young, Son and Maggnay, Limehouse, in 1858. From 1884 to 1898 this corvette was used as a training ship, while at anchor at Douro River, near Porto.